Despite my best efforts to convince myself otherwise, my baby boy, and the one who made me a Mummy, is a soon to be fifteen year old and turning into a young man before my eyes. In the final months of Year 10, come September we hit that all important Year 11 when all of these years of education will finally come into play when he sits to take his GCSE’s. And whilst I am sure that he will sail through, as despite his protests he does really well academically, I remember being the same age and the amount of pressure I felt to succeed. So for that reason we have been planning a way to celebrate the end of school, coinciding with Lewis’s 16th birthday and my 40th birthday, with a trip to New York! 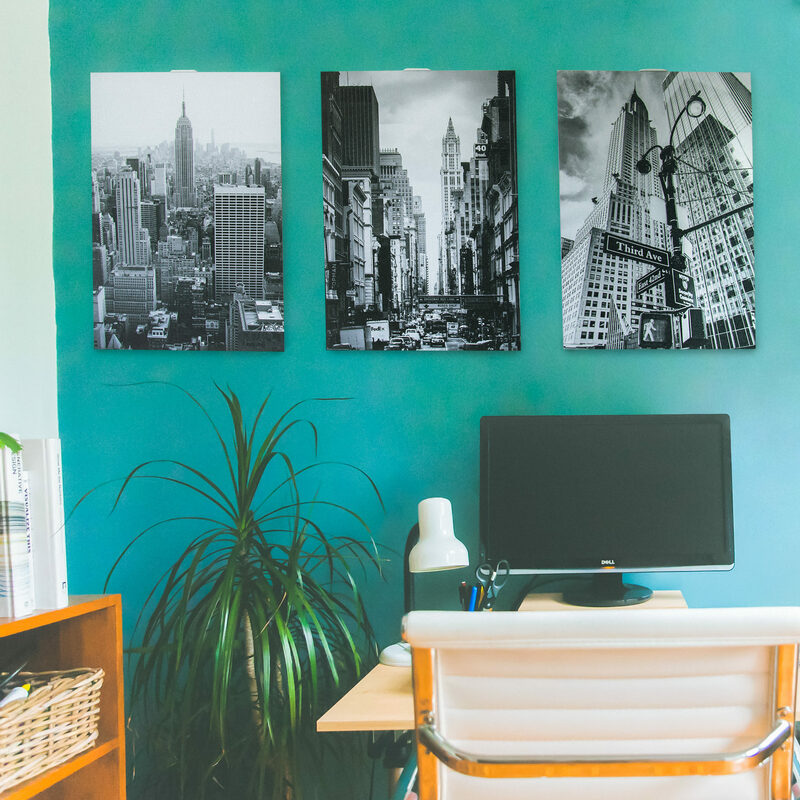 And so when Posterlounge gave us the opportunity to review some of their products, having spent an age looking through the site at all of the amazing prints, it felt like the perfect opportunity to decorate our office wall with the best motivator for the next 12 months – New York. The great thing about Posterlounge, and something I haven’t seen before on similar websites, is that many of the prints are available in several different forms. 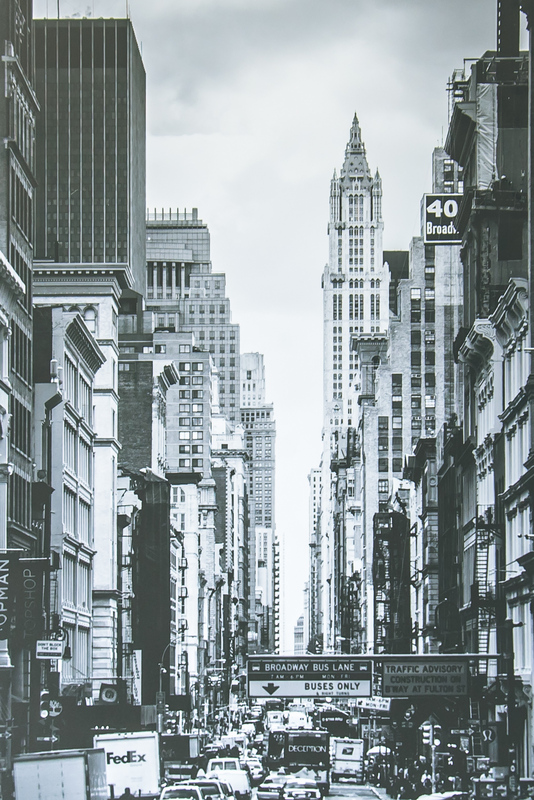 The prints we chose, featuring black and white images from New York city, are available as a simple poster, on canvas, acrylic glass, as a gallery print, on forex, wood, Alu-Dibond, or even as a wall sticker. I was massively impressed with that and think the variety on materials and price means that everyone can find what they’re looking for, no matter what the budget. We went for the Alu-Dibond which is printed on an aluminium composite panel (3mm) with a subtle colour rendering, a satin-like finish, and complete with wall brackets to hang. When the prints arrived I was so impressed with, not only the quality of the image but, just how light weight they were too. With full hanging instructions, and easy stick on fittings, my Dad and I put them up in just ten minutes for all three and the biggest issue was trying to work out the spacing between the three. I am so impressed with the sharpness of the images, the glossy finish, and the way they fit so seamlessly against the wall. When Lewis came home from school and went into the office to do his homework he was really impressed with the new prints and said that as he sits doing his course work at the desk, looking up at scenes of New York is going to spur him on to do as well as possible which was my aim all along. Hopefully in a years time we will be counting down to our trip, I can’t wait!! 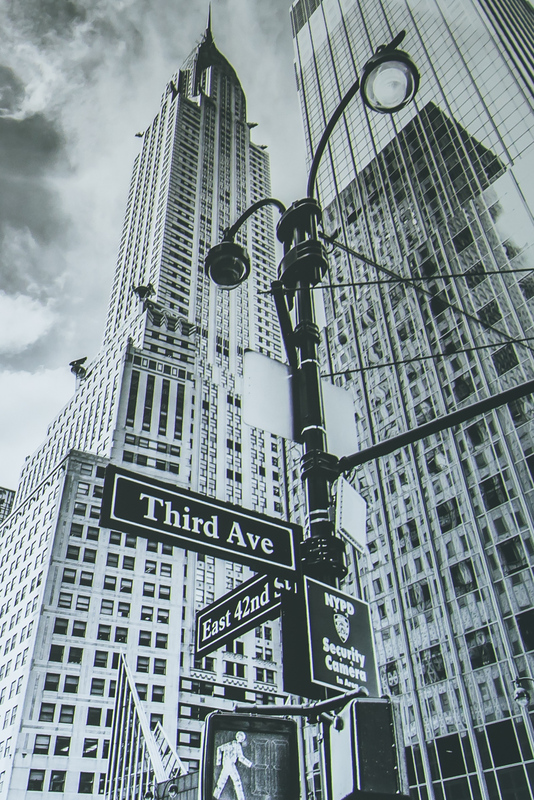 For anyone anyone wanting their own New York scenes, we went for the Chrysler Building, the Skyscrapers in New York, and the Streets of Manhattan. If you’re looking for something a little different you can see the whole range on the website here. We are offering one lucky winner the chance to win a £90 voucher for Posterlounge simply by entering via the link below. One winner will be chosen at random and notified via email at close of giveaway on 28th April Good luck! I would choose a selection of floral photos, including bluebells and snowdrops. I love the movie prints. I love the La Luna acrylic glass print so stunning! I’d choose some lovely landscapes to decorate our house! I really like the “My Neighbor Totoro” ones. So i would definitely go for one of these. I like the Olive Trees in the Moreno Garden poster. My bedroom theme is lime green and orange, so something to match that. Probably either a psychedelic print or fruit. Skyscrapers in New York City, USA and Chrysler Building, New York City (monochrome) do it for me. I like the Hare print and the bird prints. I would choose map prints or some Scandinavian art prints. Argh, I’m really torn between some classic art prints, or something a bit more contemporary and botanical. I really like houseplants, so having some lush green leaves on my wall that I couldn’t inadvertently kill would be fab! I would choose some sort of iconic movie poster. I would get some botanical prints. I like Forex and some other typography prints but also some of the kitchen art, so many to choose from! Probably some nerdy game or comic book pictures! Probably some of the fantasy or movie prints. 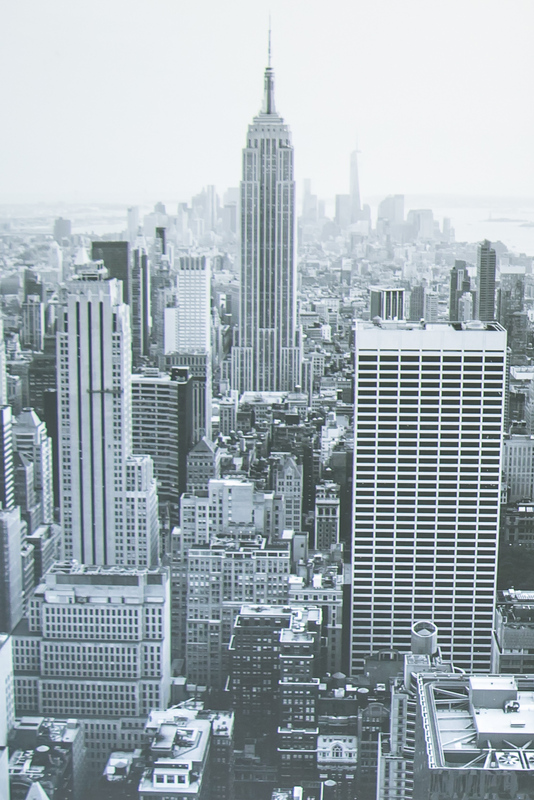 I’d stay with New York…. That Chrysler building one is stunning! A lovely sunrise print, I think! I’d start with a We, The Women poster which I would frame. They have loads of really pretty feminism related prints I would love. I love landscape and candid geographical photos and am obsessed with Mexico, so I’d probably have some lovely cacti and hacienda photo prints. I’d also have to get a Minecraft poster or 2 for my little obsessive! I would get some travel ones – love the travelling llama one! I would choose a Wood “What I Love Most” print and let the kids choose some for themselves. I dream of New York pretty much every day, it’s like the boyfriend I will always miss throughout my life. I can’t wait to go back. I will hang this right next to my bed! I’d choose some old fashioned advertising, it’s so endearing! I like the minimalist prints of different cities. Beach or ocean prints although I can’t choose which ones! I love Animals so anything with animals on……I just found the Little calf print and it has melted my heart. One of the animal prints, maybe Little Calf, then I also like the Sydney Opera House and Bridge print too. I would probably choose the Birches in Spring, Almond blossom & Eucalyptus ones but there are lot more print designs there that I love. I love the Moet and Chandon Acrylic. Acrylic print Sunset in Manhattan, New York looks so cool! A print of New York.